There has never in our memories been a time of so much deception and darkness. Its time to sharpen your gifts. 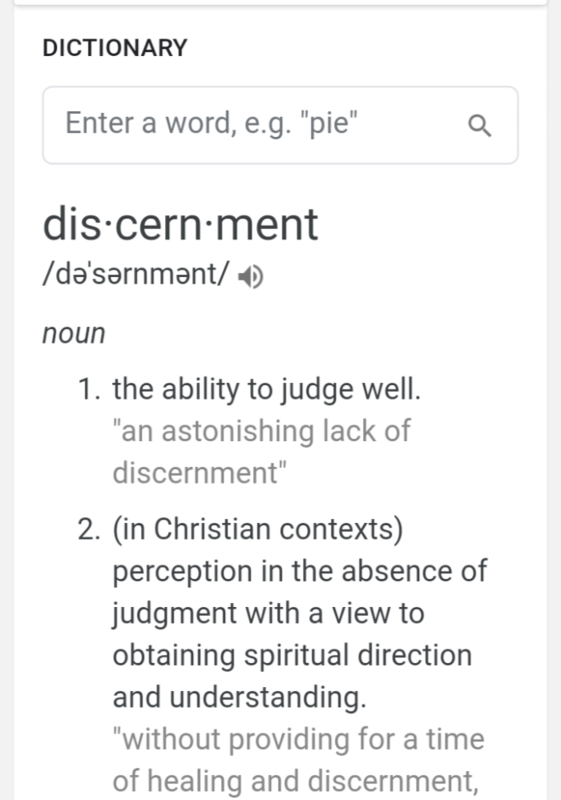 Your gifts of discernment(judgement). This is a gift given to every Christian. A gift that, believe it or not, has been either refused or buried by many Christians. Especially the judge not lest ye be judged crowd. I honestly don’t know how they can decide which brand to use of a product at the store. Every second of every day we are making judgements, such as to stop or go through a yellow light, what clothes to wear, whether or not our children are telling the truth or lying, whether or not our boss or friend or even our spouse is lying. Whether or not we believe a report on the news, if you’re like us you search for truth, you eye up a person or situation to see if it’s for you or you should turn away. I’m not talking about someone’s appearance, I’m talking about actions. 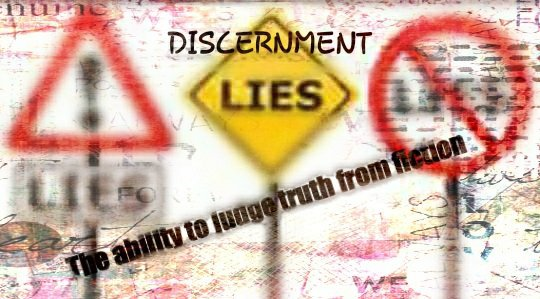 Our gift of discernment has been dumbed down. Dumbed down by satan confusing the scripture. Social media and its cesspool of hatred, has become the public square for corporal punishment with its trolls becoming judge, jury and executioner. Using unrighteous judgement, it leaves a bad taste in the mouth of society, those who attempt discernment and righteous judgement. We have one chance in the coming days to understand false teachings and what the spirit of antichrist will reveal and deceive. And we had better get it right. Time to sharpen your discernment. Time to ask for the guidance given us by Christ. Time to ask for God’s hand. Someone commented on our facebook page that even preachers aren’t really reading the Bible anymore, and that is so true. If they were they would be warning and praying for mercy. Not begging for money, tolerance of sin, or blasphemy. Some call it conscious, some call it a gut feeling, and still others spend time and money, with even churches supporting yoga, trying to become enlightened and “get in touch with the inner self”. Wrong! Christ and the Holy Spirit reside in us, in each Christian. Why is main stream Christianity downplaying and ignoring the gifts of the Holy Spirit? It’s more profitable to teach prosperity gospel than it is to teach the truth. If we do not discern right and wrong, it is then we are overtaken in a matter that if we had known the difference may have saved ourselves a lot of grief. Throughout the ages God has always given His people insight into His ways, and unless we learn to discern between good and evil we could totally miss His moving in the earth. Jesus said we are to watch and prepare, but without knowing Him or His ways He will be as a thief in the night to the unsuspecting. Some may think the weather is nothing to attribute to God, and nothing could be further from the truth………….scripture teaches thunder is His voice and lightning is His arm. Sure we have had different kinds of weather, but NEVER in history have we had floods, tornadoes, hurricanes, fires and volcanoes erupting ALL at the same time in the earth that we do now. Now is the time to learn who God is and who is truly following His ways as scripture instructs us! Nahum 1:3 3 The Lord is slow to anger, and great in power, and will not at all acquit the wicked: the Lord hath his way in the whirlwind and in the storm, and the clouds are the dust of his feet.